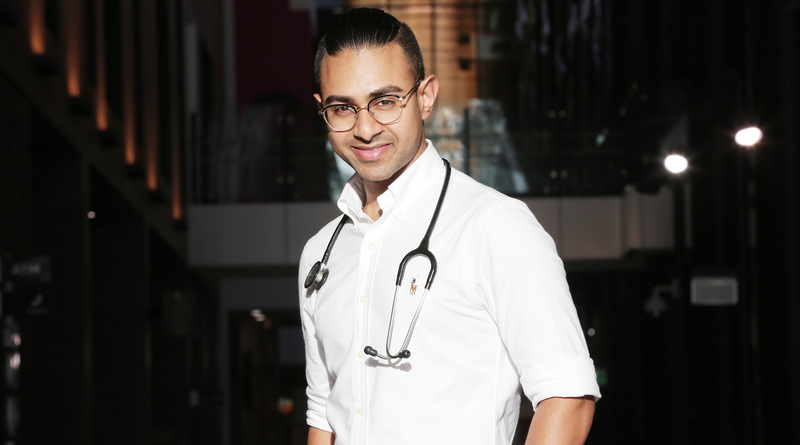 Blacktown’s new medical intern Dr Dulan Dharmaratne. Blacktown and Mount Druitt hospitals have welcomed 55 junior medical graduates who will undertake a two-year internship at both hospitals. The new doctors will commence roles in medicine, surgery, and emergency. Blacktown and Mount Druitt hospitals’ medical services director Dr Brett Gardiner said there are more than 800 trainee doctors working across the district. “Blacktown Hospital is an extraordinary place for new interns starting their careers. They will work in state-of-the-art facilities with technological advances and innovation,” Dr Gardiner said. “We provide peer mentoring and specialised programs for our interns who train as a specialist doctors or general practitioners. “Blacktown Hospital provides long-term job opportunities for all healthcare workers. “We are at the forefront of modern medicine with Blacktown and Mount Druitt hospitals Stage 1 of the expansion complete and currently undergoing Stage 2. “Stage 2 at Blacktown Hospital includes the establishment of a new emergency department, new operating theatres and intensive care beds – to name a couple of examples. “Mount Druitt Hospital Stage 2 projects include a new MRI unit, establishment of a community Dialysis centre and the expansion of the drug health centre,.” Dr Gardiner said. The west is definitely the best for Dr Dharmaratne. Kings Langley resident and new medical intern Dr Dulan Dharmaratne knew he wanted a career in medicine from a young age. The 24-year-old was born at Westmead Hospital and selected Blacktown Hospital as his first preference for work. “I was encouraged by my older brother to study medicine. He worked at Blacktown Hospital as a doctor and encouraged me to study in this field,” Dr Dharmaratne said. “I enjoy interacting with patients and families and help people feel better – this is extremely rewarding for me. “After completing my studies from high school and University in western Sydney, I was drawn to Blacktown Hospital as a place I wanted to work at. “Currently I am working on rotation through selected departments at Blacktown Hospital. “In the near future I hope to specialise in psychiatry and to remain at Blacktown Hospital. NSW with 1021 intern positions- up from 999 last year- has more intern positions than any other state or territory, up 251 positions – or 32 per cent – since 2011. The NSW Government invests around $107 million on its internship program each year.